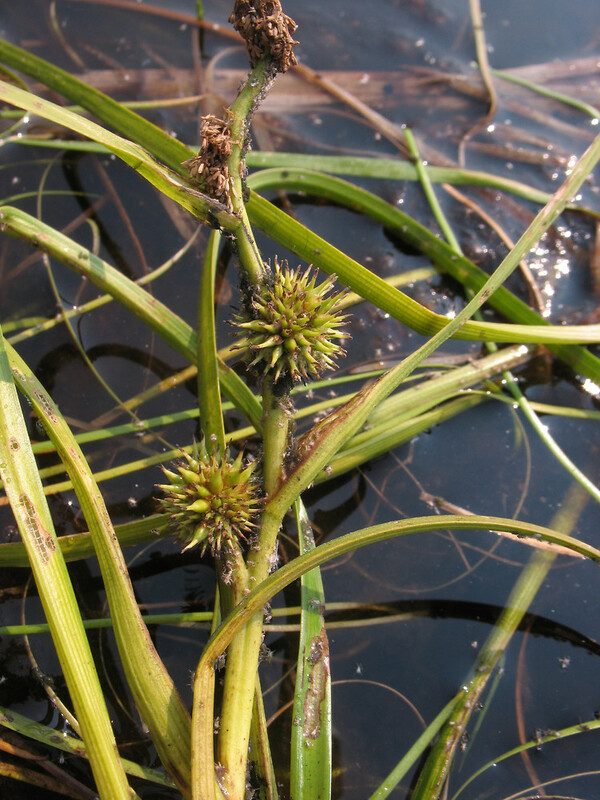 Narrow-leaved bur-reed is a circumboreal species. It becomes rare in southern New England. 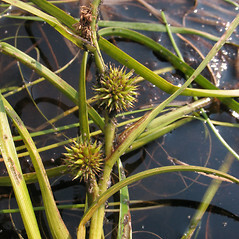 True to its name it has narrow, flaccid leaves that are submerged or floating, rarely emersed. 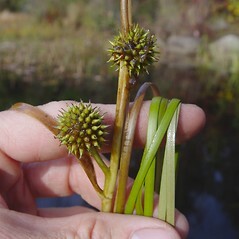 Compared to bur-reeds (Sparganium), it is not very variable' in appearance. 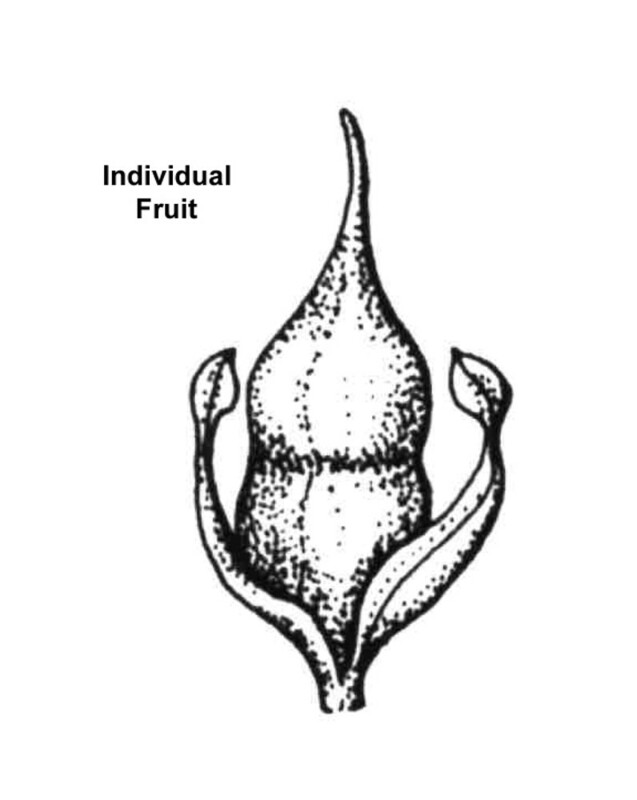 distal portion of leaves with a prominent abaxial keel or triangular in cross-section, beak of fruit 2–4.5 mm long, and at least some of the staminate spikes separated by short internodes (vs. S. angustifolium, with distal portion of leaves flat, without an abaxial keel, beak of fruit mostly 1.5–2 mm long, and staminate spikes contiguous). 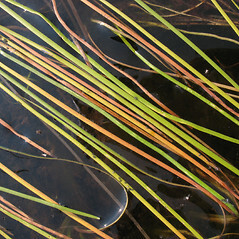 leaves thin, translucent, flat, and perianth yellow, conspicuous (vs. S. angustifolium, with leaves thicker, nearly opaque, flat to planoconvex, and perianth white to green, inconspicuous). 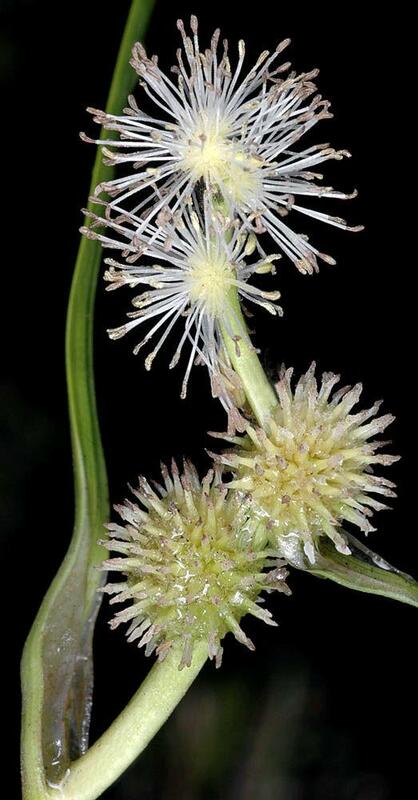 narrow-leaved bur-reed. 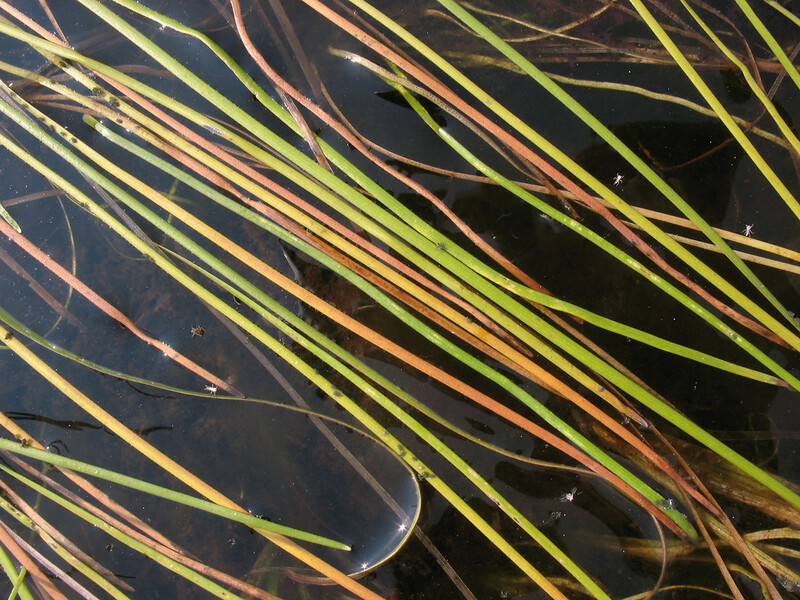 Sparganium emersum Rehmann var. 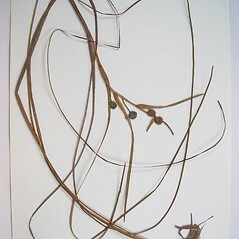 angustifolium (Michx.) 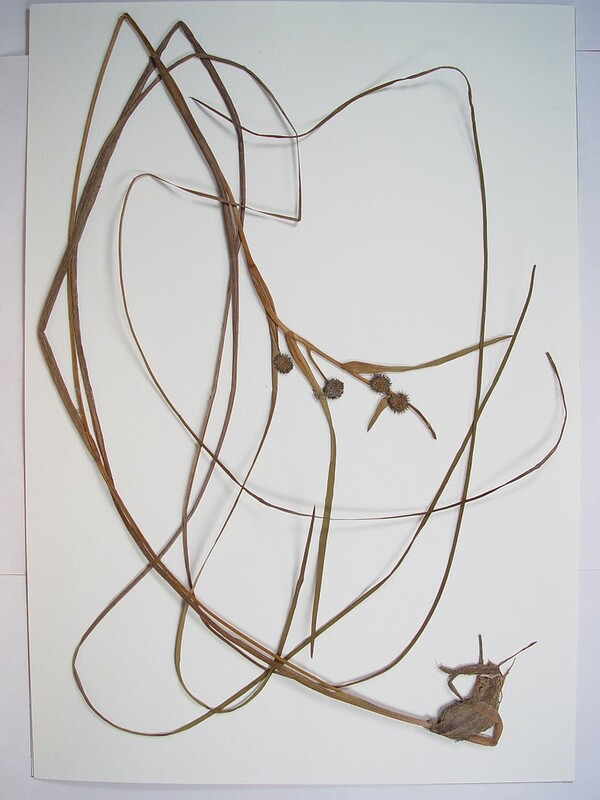 Taylor & MacBryde; S. multipedunculatum (Morong) Rydb. 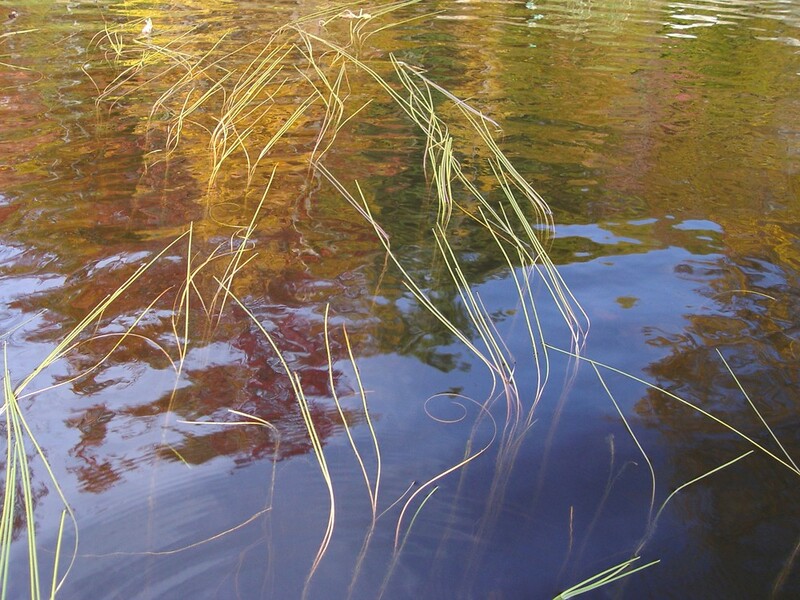 • CT, MA, ME, NH, VT; rare or absent from some southern New England states. 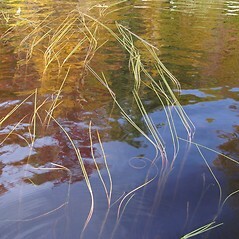 Shallow, circumneutral to basic, still or slow-moving water. This species rarely somewhat emergent in shallow water. 3×4b. 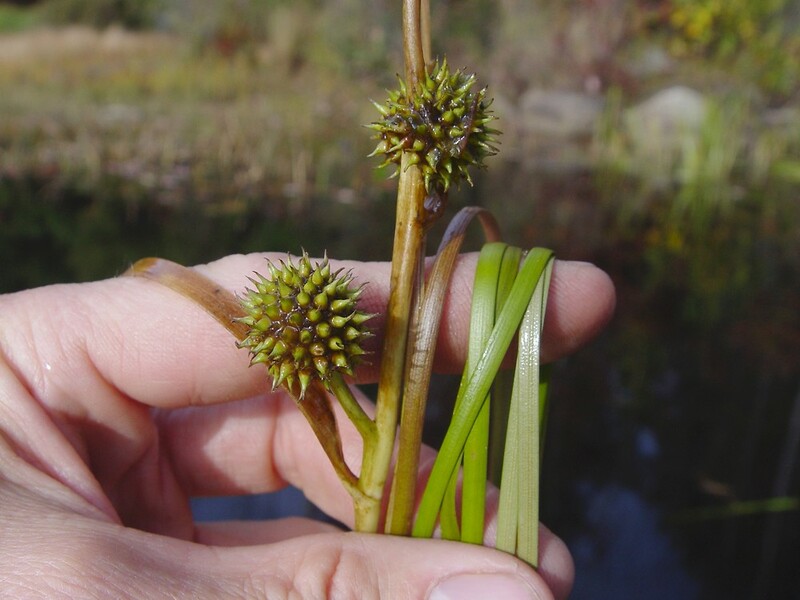 This very rare bur-reed hybrid is known from NH, VT. 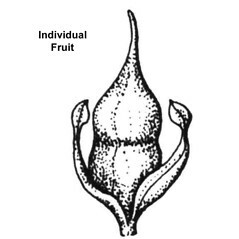 It is intermediate in both vegetative and floral characters, and the F₁ individuals are known to be highly fertile. 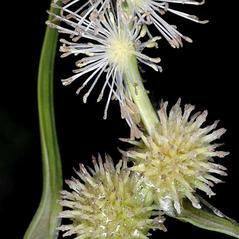 It has anthers 0.9–1.2 mm long and stigmas 0.8–1.4 (–1.7) mm, whereas Sparganium angustifolium has anthers (0.8–) 0.9–1 (–1.2) mm long and stigmas (0.6–) 0.8–1 (–1.2) mm long, and S. emersum has anthers 1–1.5 (–2) mm long and stigmas (1–) 1.5–2 (–2.5) mm long.